Europe is famous for its many towering and beautiful castles. 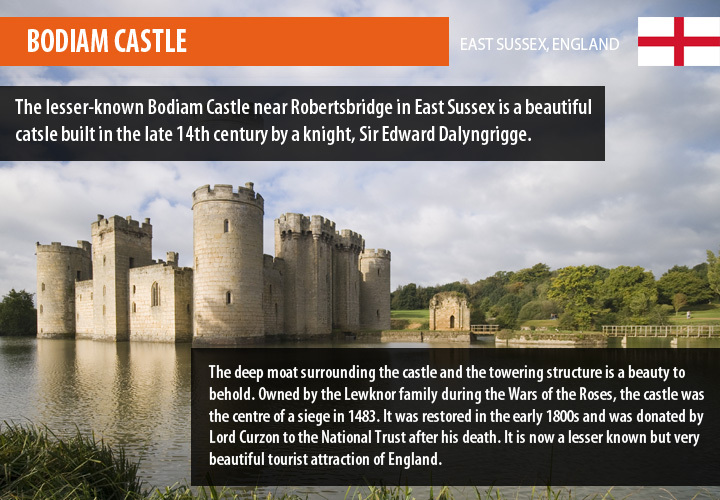 These castles were once the centres of regional history and royal and military strongholds. 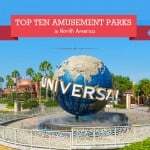 In modern times, these are key tourist attractions. 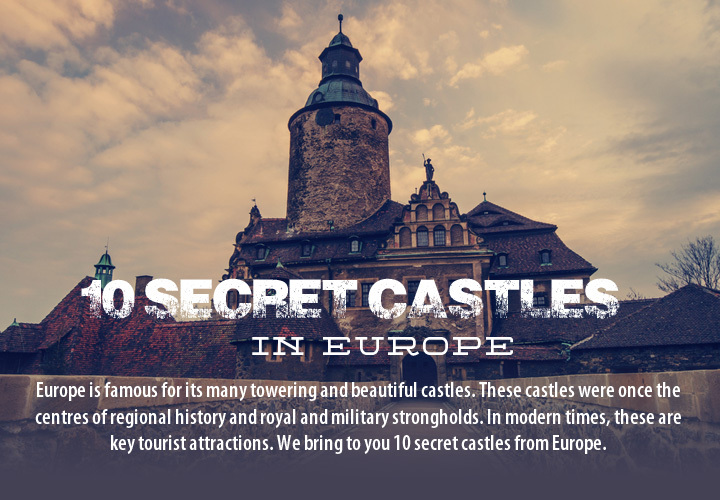 We bring to you 10 secret castles from Europe – lesser known castles that rival their more famous counterparts in beauty and mystique. 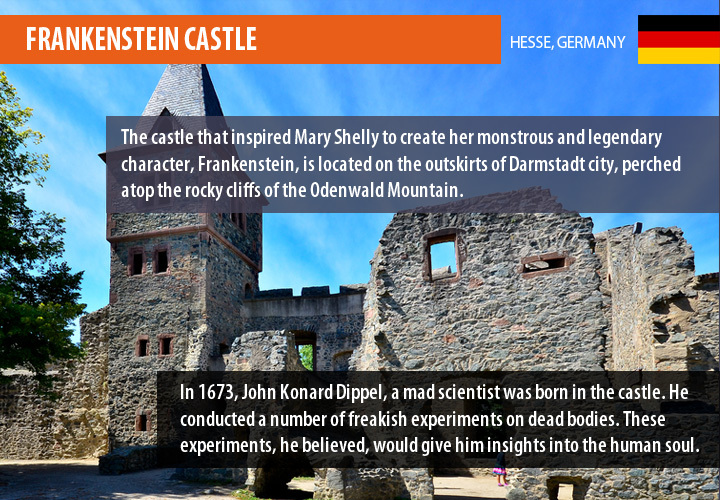 The castle that inspired Mary Shelly to create her monstrous and legendary character, Frankenstein, is located on the outskirts of Darmstadt city, perched atop the rocky cliffs of the Odenwald Mountain. In 1673, John Konard Dippel was born in the castle. 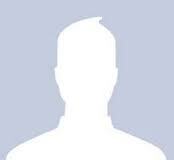 He turned out to be a mad scientist who conducted a number of freakish experiments on dead bodies and corpses. These experiments, he believed, would give him insights into the human soul. The castle’s original construction is dated back to the 13th century and by the 18th century it required extensive restoration. It was later used as a hospital and as a refuge for the homeless of the surrounding region. 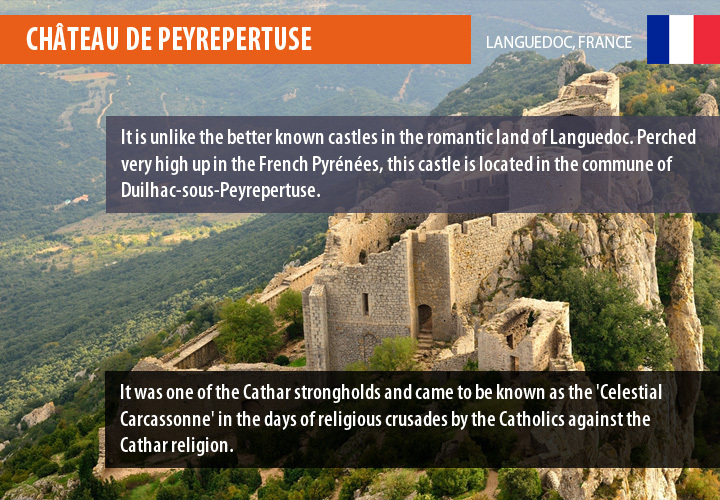 Unlike the better known castles in the romantic land of Languedoc (such as Caracassonne), the Château de Peyrepertuse isn’t a very well-known tourist destination, at least in modern times. But there is no denying the majesty and the rich history of this castle. Perched very high up in the French Pyrénées, this castle is located in the commune of Duilhac-sous-Peyrepertuse (Aude département). More importantly, it was one of the Cathar strongholds and came to be known as the ‘Celestial Carcassonne’ in the days of religious crusades by the Catholics against the Cathar religion. The route to the castle is only partially accessible by car; the end of the path must be covered on foot or by rock climbers climbing up a steep cliff. Have you heard of a castle disguised as a modern building? 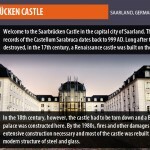 Welcome to the Saarbrücken Castle in the capital city of Saarland. 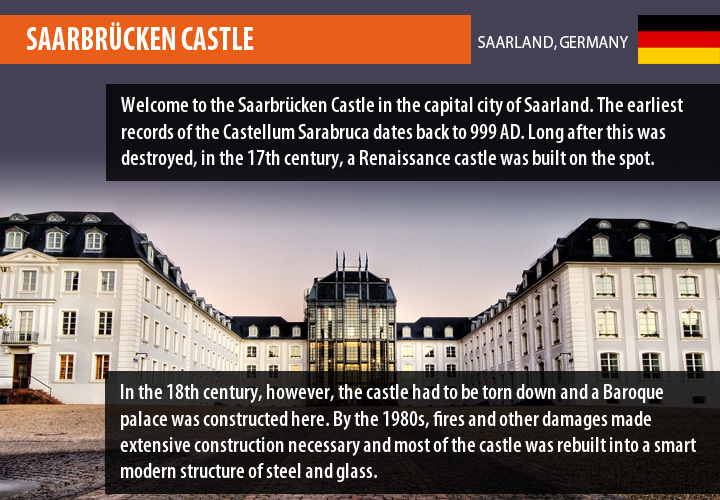 The earliest records of the Castellum Sarabruca (castle overlooking the Saar) dates back to 999 AD. Long after this was destroyed, in the 17th century, a Renaissance castle was built on the spot. The stone cellars of this construction are still intact. In the 18th century, however, the castle had to be torn down and a Baroque palace was constructed here. By the 1980s, fires and other damages made extensive construction necessary and most of the castle was rebuilt into a smart modern structure of steel and glass, now used as an administrative and cultural centre. 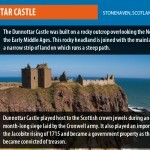 It is the location of the Dunnottar Castle that makes it secluded – a secret of sorts in the tourist heart of Scotland. The Dunnottar Castle was built on a rocky outcrop overlooking the North Sea in the Early Middle Ages. This rocky headland is joined with the mainland through a narrow strip of land on which runs a steep path. 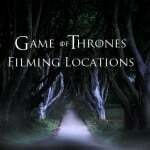 The sheer drama of the castle’s location makes it important in Scottish history. 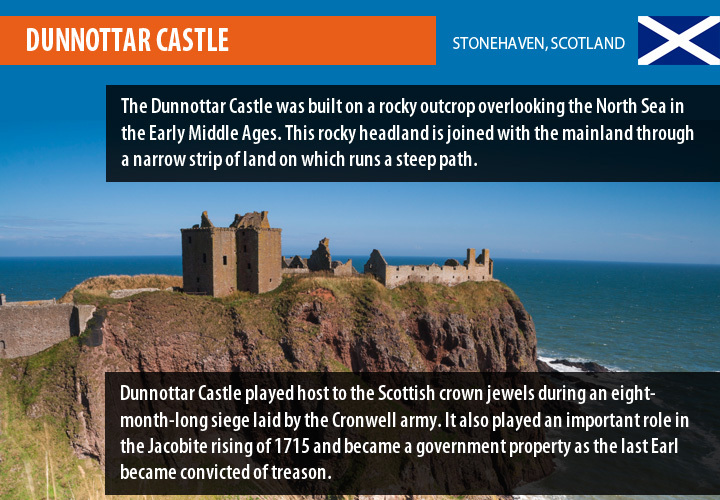 Deemed an impregnable fortress, the Dunnottar Castle played host to the Scottish crown jewels during an eight-month-long siege laid by the Cronwell army. 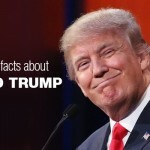 It also played an important role in the Jacobite rising of 1715 and became government property as the last Earl became convicted of treason. It was later, in the 1920s, that the castle was restored and opened to visitors. 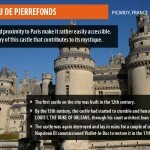 “The rather large and visibly stunning castle of Pierrefonds can surely be no secret?” ask visitors. Its beauty and proximity to Paris (about 80 kilometres to the north-east of the French capital) makes it rather easily accessible. It is the history of this castle that contributes to its mystique. The first castle on the site was built in the 12th century. 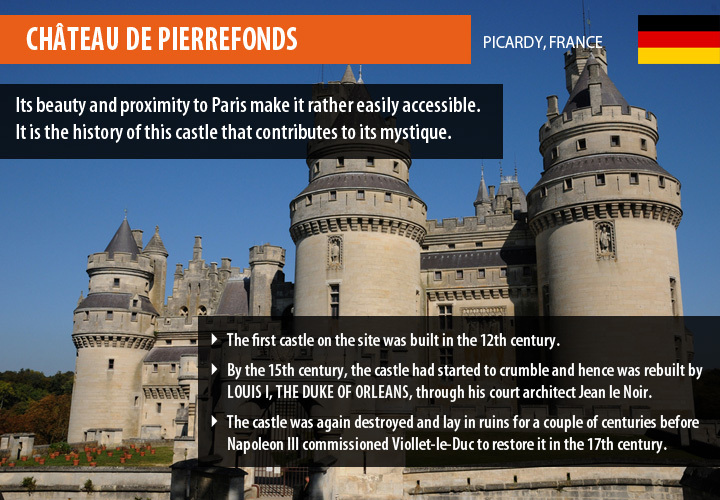 By the 15th century, the castle had started to crumble and hence was rebuilt by Louis I, the Duke of Orleans, through his court architect Jean le Noir. The castle was again destroyed and lay in ruins for a couple of centuries before Napoleon III commissioned Viollet-le-Duc to restore it in the 17th century. This restoration turned the castle into a grandiose affair albeit unfaithful to the original earning it the epithet, “The Emperor’s Romantic Folly”. 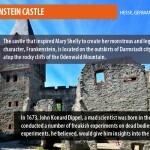 You’re sure to have grown up reading up about Dracula and blood sucking vampires but have you visited the castle where these various myths and legends originated? 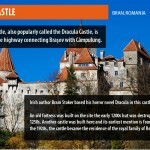 The Bran Castle, also popularly called the Dracula Castle, is located on the highway connecting Braşov with Câmpulung (near the Transylvanian border with Romania). 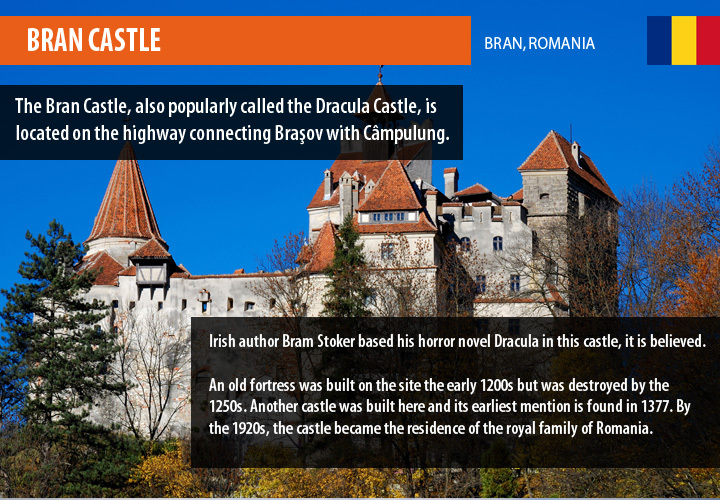 Irish author Bram Stoker based his horror novel Dracula in this castle, it is believed. Full of secret passageways and chambers, this is one secret castle you must not miss. An old fortress was built on the site in the early 1200s but was destroyed by the 1250s. Another castle was built here and its earliest mention is found in 1377. By the 1920s, the castle became the residence of the royal family of Romania. 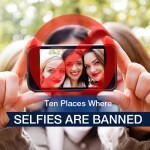 It is now a tourist attraction. England is famous for its stately castles and fortresses. 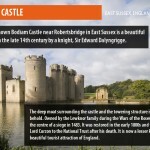 The lesser-known Bodiam Castle near Robertsbridge in East Sussex is a beautiful castle built in the late 14th century by a knight, Sir Edward Dalyngrigge. The deep moat surrounding the castle and the towering structure is a beauty to behold. Owned by the Lewknor family during the Wars of the Roses, the castle was the centre of a siege in 1483. It was restored in the early 1800s and was donated by Lord Curzon to the National Trust after his death. 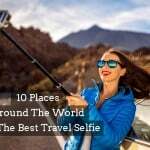 It is now a lesser known but very beautiful tourist attraction of England. 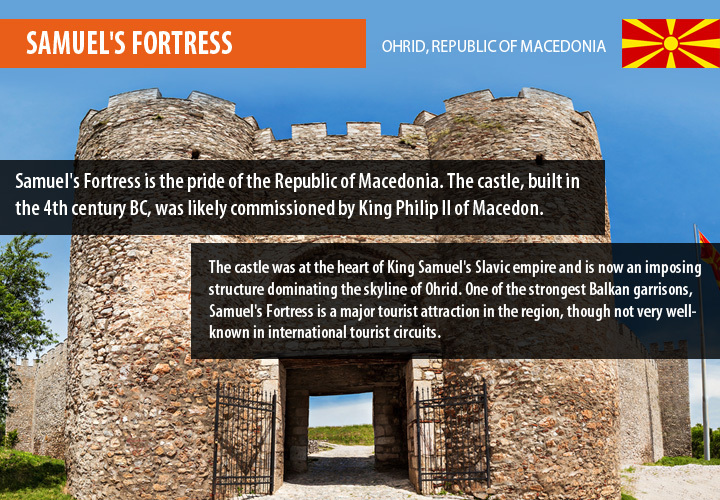 Samuel’s Fortress in the city of Ohrid is the pride of the Republic of Macedonia. The castle, built in the 4th century BC, was likely commissioned by King Philip II of Macedon. The castle was at the heart of King Samuel’s Slavic empire and is now an imposing structure dominating the skyline of Ohrid. One of the strongest Balkan garrisons, Samuel’s Fortress is a major tourist attraction in the region, though not very well-known in international tourist circuits. The panoramic views from the fortress make it a key spot to visit. 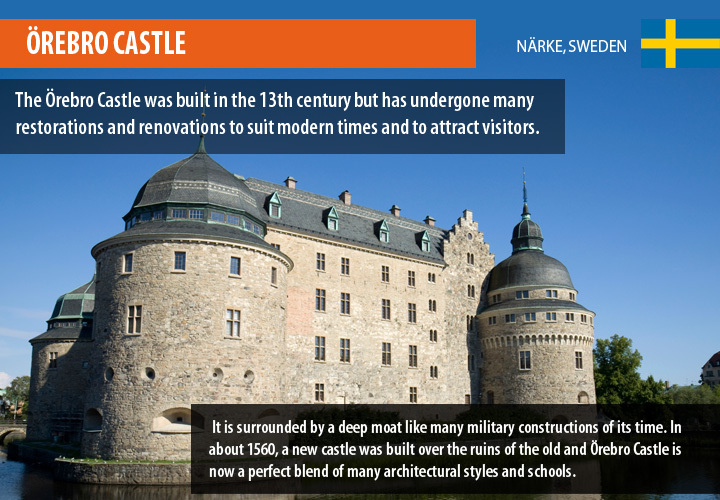 If Sweden is where you are headed to this holiday season, this castle is a must-visit. The Örebro Castle was built in the 13th century but has undergone many restorations and renovations to suit modern times and to attract visitors. This Vasa castle is a classic fortress and was once deemed impregnable. It is surrounded by a deep moat like many military constructions of its time. 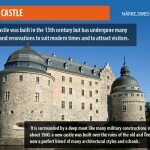 In about 1560, a new castle was built over the ruins of the old and Örebro Castle is now a perfect blend of many architectural styles and schools. 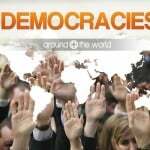 It is also known to have played host to the Swedish parliament at times. Enshrining the rich cultural legacy of Spain and the country’s golden history is the Castillo de La Mota in the town of Medina del Campo. The castle was used as a fortress in medieval times. 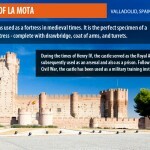 It is the perfect specimen of a medieval fortress – complete with drawbridge, coat of arms, and turrets. During the times of Henry IV, the castle served as the Royal Archive. 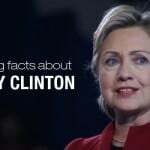 It was subsequently used as an arsenal and also as a prison. 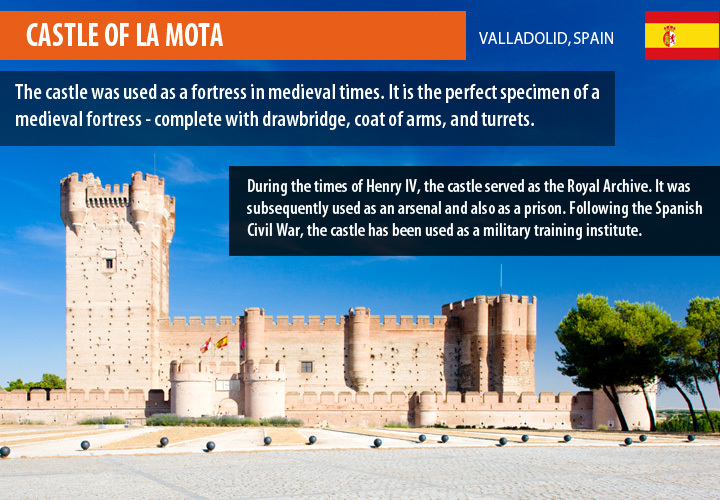 Following the Spanish Civil War, the castle has been used as a military training institute. Restored in the twentieth century, the castle offers an impressive view of the region.